About nine out of ten adults experience back pain at some point in their life. Five out of ten working adults experience back pain at least once a year. 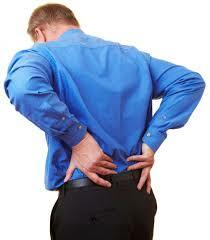 From our experience low Back Pain is one of the most commonly seen problems at our practice. The lower back is an amazing structure and supports the upper body. There are over 32 muscles that attach to the pelvis, not to mention a complex array of muscles, tendons, ligaments, nerve and bones. The pelvis and lower spine allows us to be mobile and help transfer forces and loads from the upper body down into the lower body. The Practice can provide experienced effective solutions to back and joint pain. The Welwyn & Hatfield Practice is one of Hertfordshire’s leading complementary therapy practices. We have over 30 years experience in healthcare, treating thousands of local people. We have a passion for health care and provide pain management treatments that will get you better quickly . We Specialise in patient centred care, your care. Please feel free to check our reviews.